← The message of St. Catherine: be resolute !! Are you ready for the bazaar? 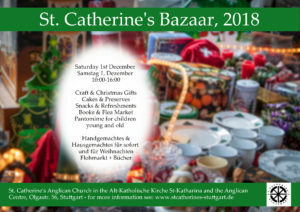 Looking forward to seeing you all with your spending money between 10:00-16:00 on Saturday. along with all the usual stalls we will be having a children’s second-hand toy and book stall. Good quality toys and books are welcome (no furry animals though please). For more information please speak to Jackie. Contribute to a raffle: I have put together a basket with English produce. Could we have contributions towards a German and/or American basket? Drop off at the Anglican Centre or on the day. And LAST BUT NOT LEAST! Buyers, buyers, buyers! So spread the word. Flyers in the Centre for distribution. Please let me know how you can help, even if it is only for a short stint during the course of the day. 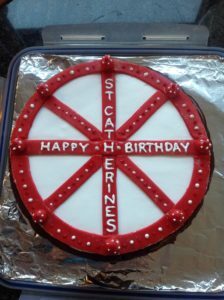 Thank You to Katy for the cake to celebrate our patronal festival – the Feast of St. Catherine – on Sunday. Please hold Walter and Brigitte, as she cares for him, in your prayers. Pray also for a speedy return to health for Kara after her recent eye-operation, and that the procedure has been successful. This Sunday sees the start of Advent – if you are looking for devotional material for Advent why not try the Diocese of London’s App – A good advent produced in co-operation with SPCK. 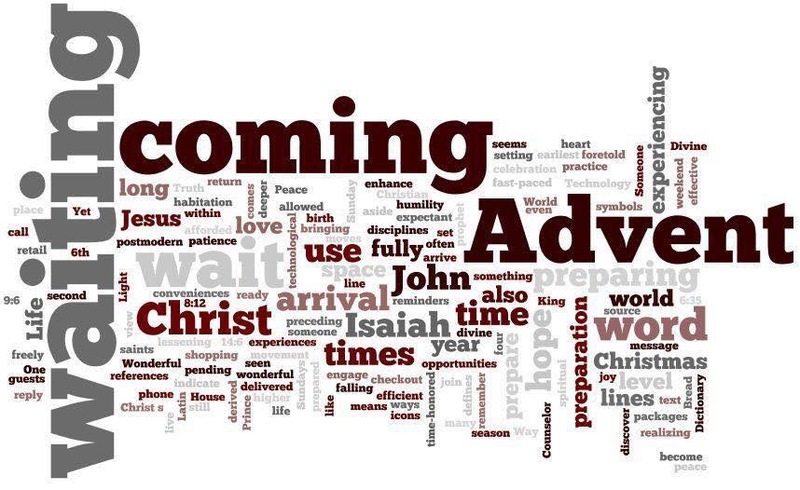 And for the start of Advent, this week instead of musing, the Chaplain sends us something to ponder and meditate on … what does Advent mean to you? 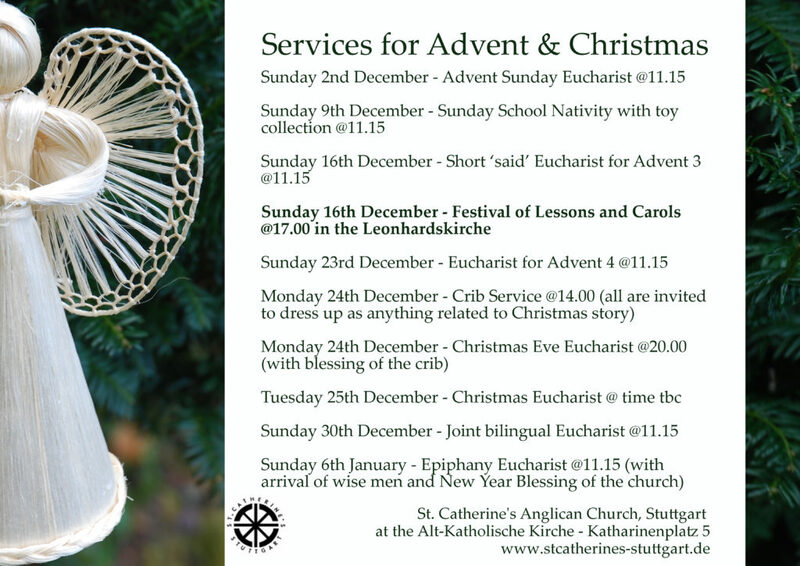 Make sure you pick up a few fliers for our Christmas services to hand out to friends and family who would like to worship in English through Advent and Christmas.